This is going to be a crazy week. We officially go back to work this week. Those days are crammed with things I don’t want to do. Blog Hoppin’ is filling this week with fun Back to School linky parties. That’s a nice distraction! 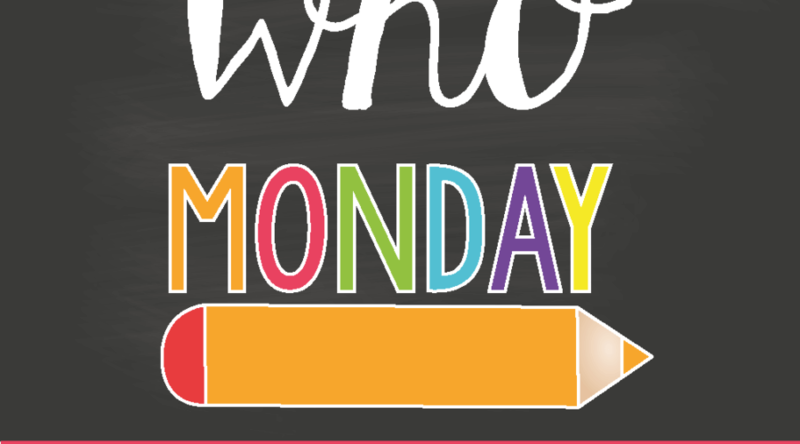 Today’s linky party is all about Meet the Teacher. This meet the teacher is going to be a lot easier than the sweltering meet the teacher I’ll be having at school on Thursday! I don’t know that any of this will be news to any of you. I’m pretty sure I’ve shared all of these little tidbits here and there; But here are a few things about WHO I am. I am a primary teacher through and through. My first year of teaching was Kindergarten. I enjoyed it, but couldn’t wait to have a first grade class. Over the years I have taught a 1st/2nd grade combo a few times. I REALLY enjoy 2nd graders. Their maturity makes teaching a lot easier! But my heart is truly in 1st grade. My absolute favorite thing about teaching first grade is teaching reading and writing. I LOVE the growth we first grade teachers get to witness in our little peeps! Besides my lack of enthusiasm for 1st grade social studies, I definitely have a creative weakness when it comes to P.E. I have to admit that I have used GoNoodle as my PE for the day on many occasions. Besides making just about anything on the computer, I really love all things tropical, outdoors, and usually water related. My family is small, but super fabulous and definitely my “everything”. My husband and I have been together since high school. We have a son and a daughter. In addition to being generous, caring and also hilarious, my daughter is an incredible makeup artist. Be sure you hop over to Blog Hoppin‘ and check out the Meet the Teacher linky party all week!